Their 2007 debut! If you didn't know better, you'd swear that Cleveland's Michael Allen was British! Even the photo on the CD cover looks like something outta the UK! The songs on his brilliant, hook-filled debut have a decidedly Brit folk-rock slant to them. His slightly raspy vocal style recalls the great Peter Bruntnell and even a little bit of Roy Harper at times. "Roll The Stone Away" is very Ian Hunter-like. This guitar-filled record was recorded in Detroit with producer Al Sutton (Detroit Cobras). "Michael Allen will transport you to places where you currently are not!" - WCSB.org "Pale Hollow mastermind Michael Allen is a songwriter's songwriter, acutely aware that a tune needs more than just a catchy chorus. And even though the hooks come fast and furious, he builds on his acoustic skeletons with an array of instruments to form a melodic slice of pop rock. The pedal steel in 'Don't It Leave You Lonely' and the tuneful electric guitar of 'Gustav's Dream' enhance the songs without obscuring their hooks!" - ClevelandScene.com This could've been Peter Bruntnell's record made between "Camelot In Smithereens" and "Normal For Bridgewater"! Imagine Peter Bruntnell backed by Crazy Horse! "Sugarcane" and "Remains Of Yesterday" are simply stellar examples of power roots pop! One of, if not "the", roots pop releases of 2007! Can't say enough about this one! 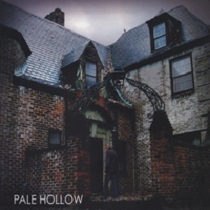 TAKE ADVANTAGE OF OUR EXCLUSIVE OFFER AND GET BOTH PALE HOLLOW CDs FOR JUST $19. IF PAYING BY CREDIT CARD, YOU WILL BE CHARGED ACCORDINGLY. IF PAYING BY PAYPAL, YOU WILL BE REFUNDED THE APPROPRIATE DISCOUNT. GREAT! !